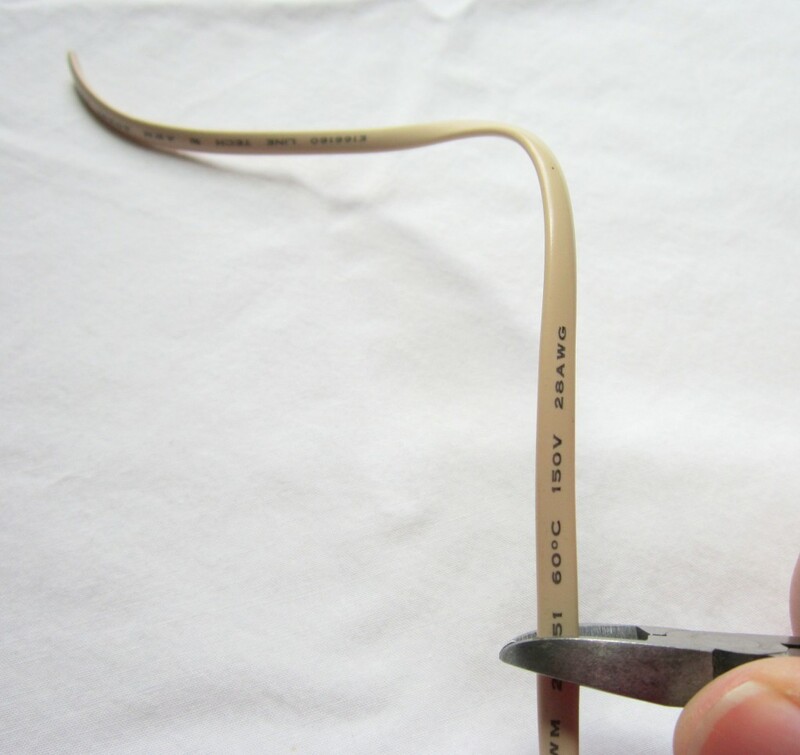 Measure around your wrist and cut off a piece of telephone wire. 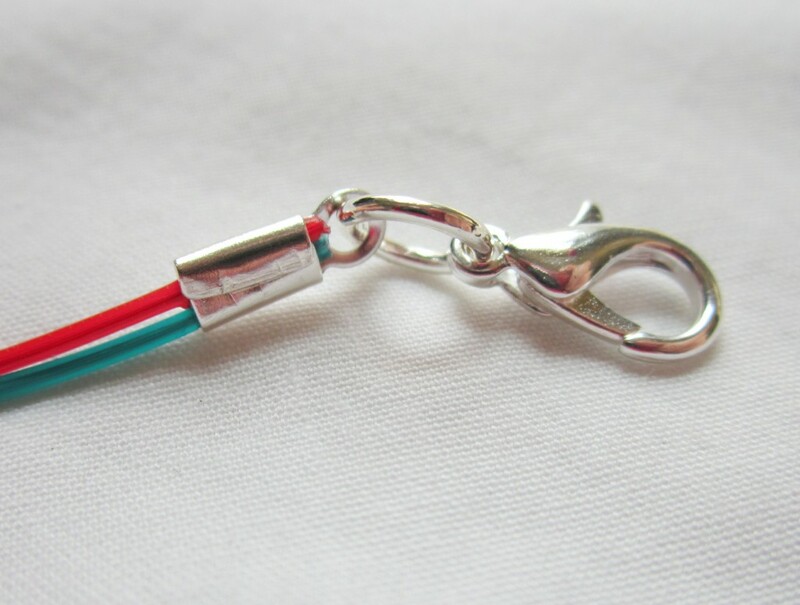 Remember that you will be adding a lobster clasp on the end when you are deciding on the size. I like my bracelets a little loose, so I measured around my wrist and cut the exact length. When I add the clasp the bracelet will be the size I like. 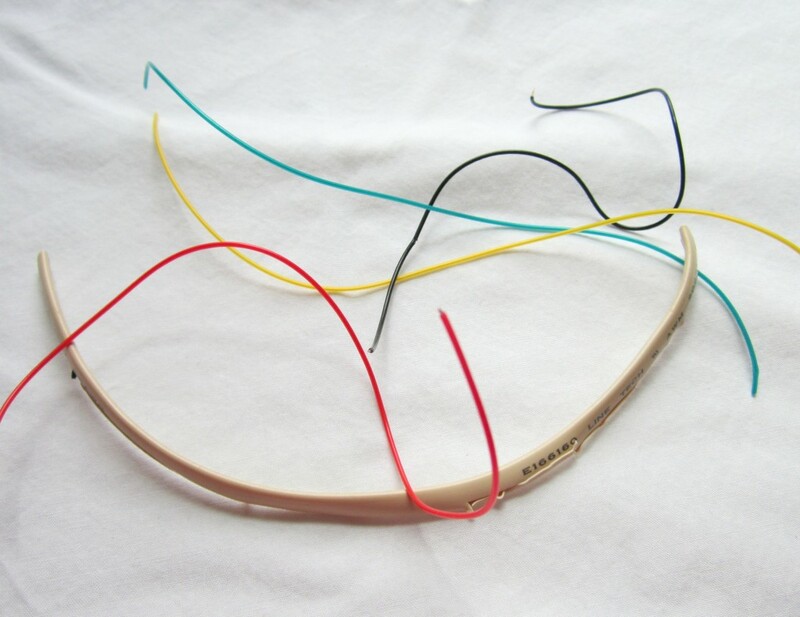 Alternatively, you could use the actual telephone wire as is without cutting off the outside wire. It’s a cool look, too. 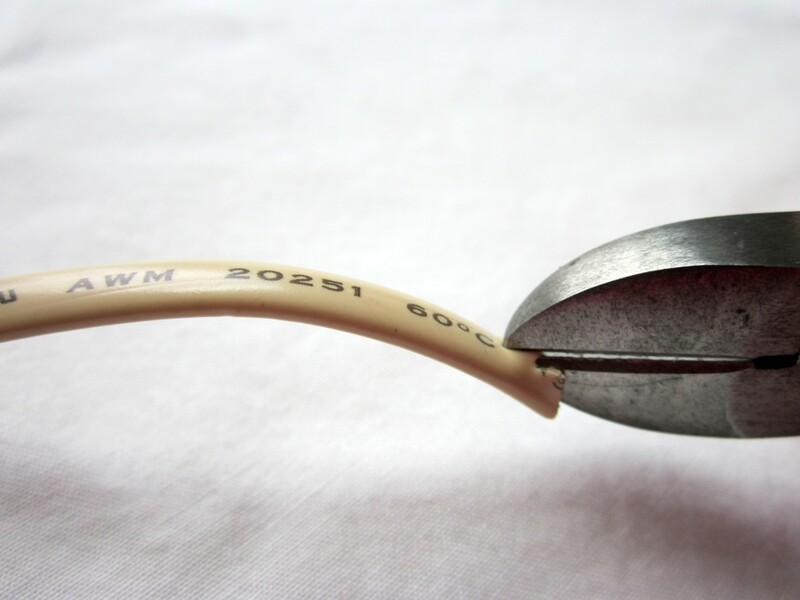 Make sure you get end crimps that are large enough to accommodate the size. 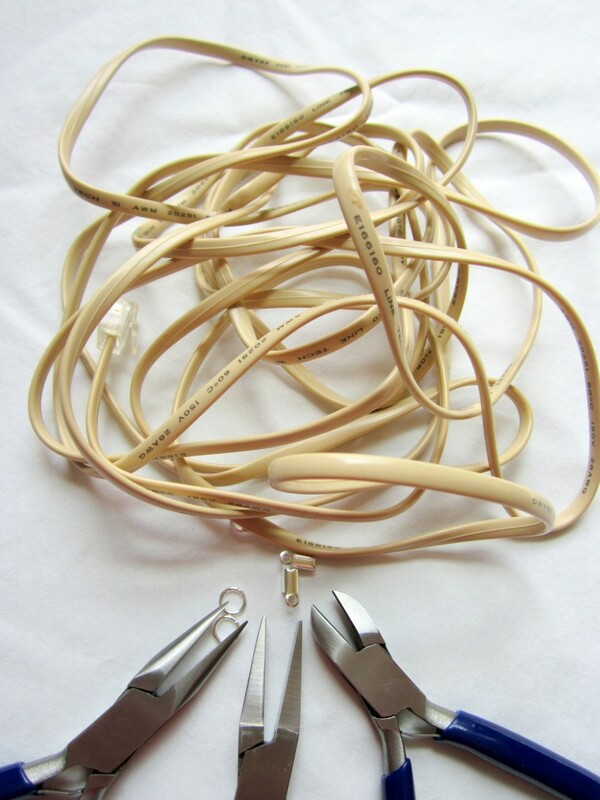 I used an old pair of wire cutters to cut just the outside casing of the telephone wire. Scissors would probably work, too, if you have a small size. Basically, use whatever works for you. 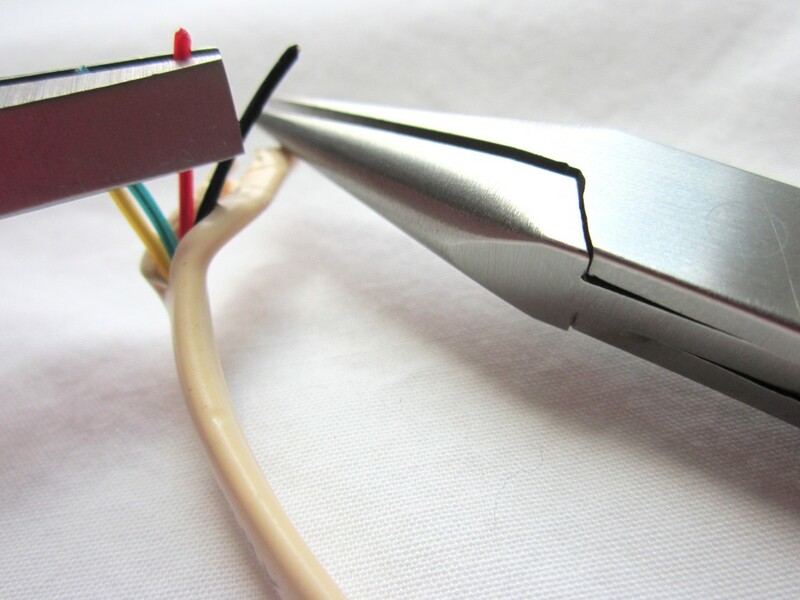 After I got the cut started, I used 1 pair of pliers to hold the inside wires while I peeled off the outside casing with another pair of pliers. 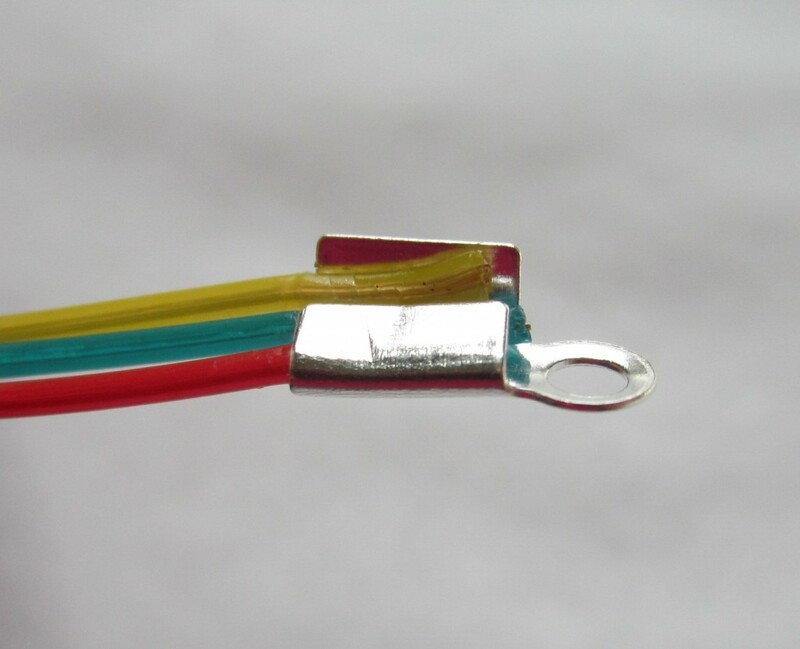 This is what the wires look like once they are free! 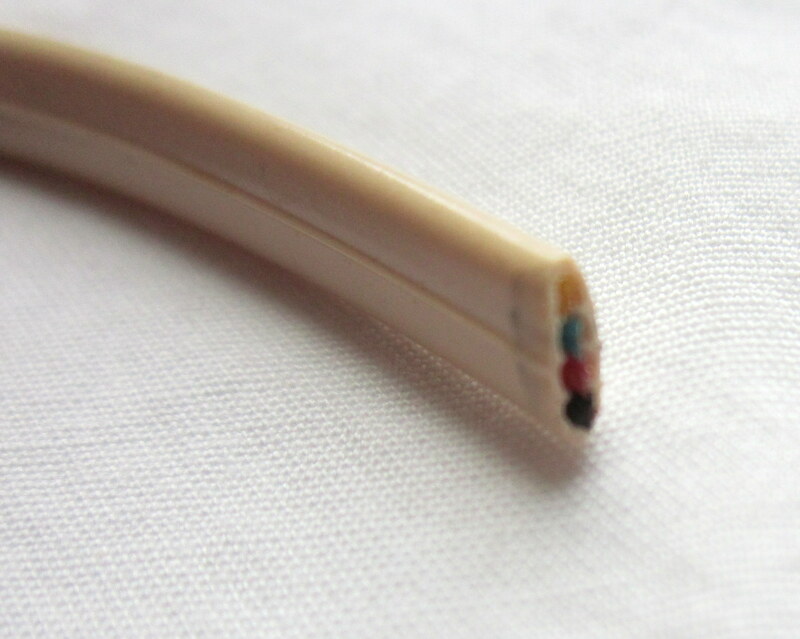 Lay 2 or 3 of the wires in the end crimp. I started with 3, but they didn’t all fit and ended up using 2 wires instead. Repeat on the other side of the wires. 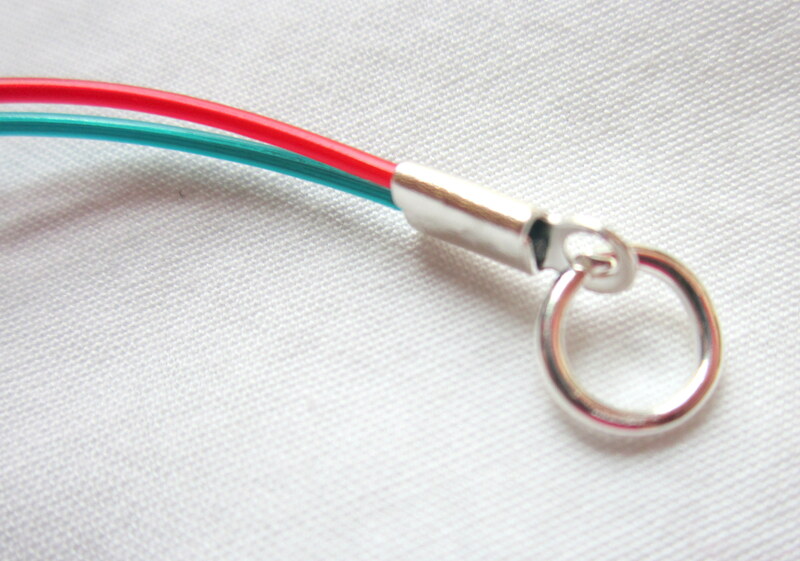 Add a jump ring and lobster clasp to one end. Need help opening a jump ring? Click here for my How to Properly Open and Close Jump Rings video. Add just a jump ring to the other end. 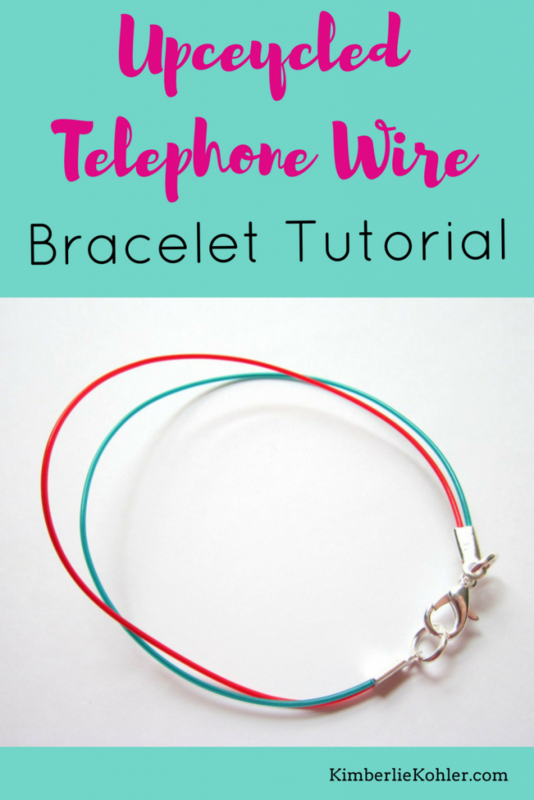 Enjoy your new telephone wire bracelet! Make several and wear them all at once. 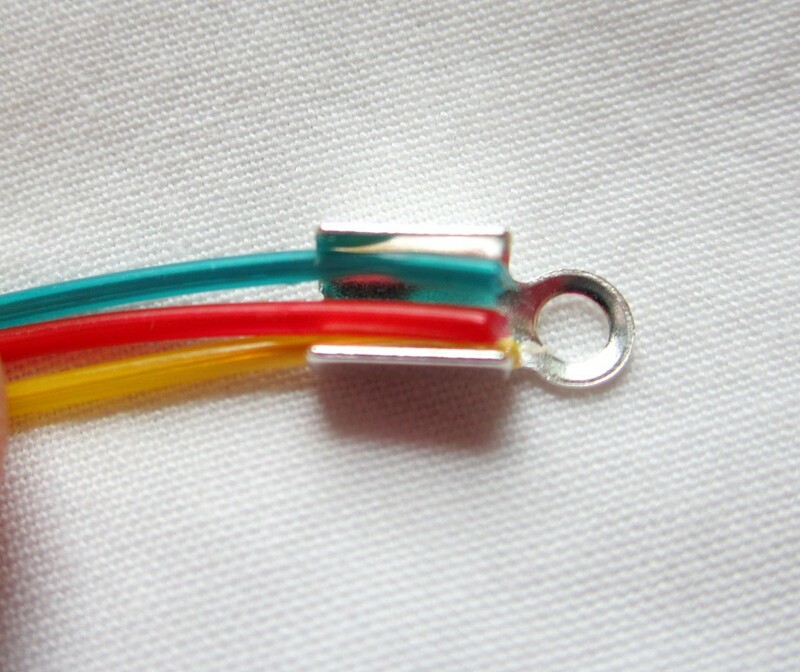 Before you put the 2nd end crimp on, add charms and other dangles to the bracelet. 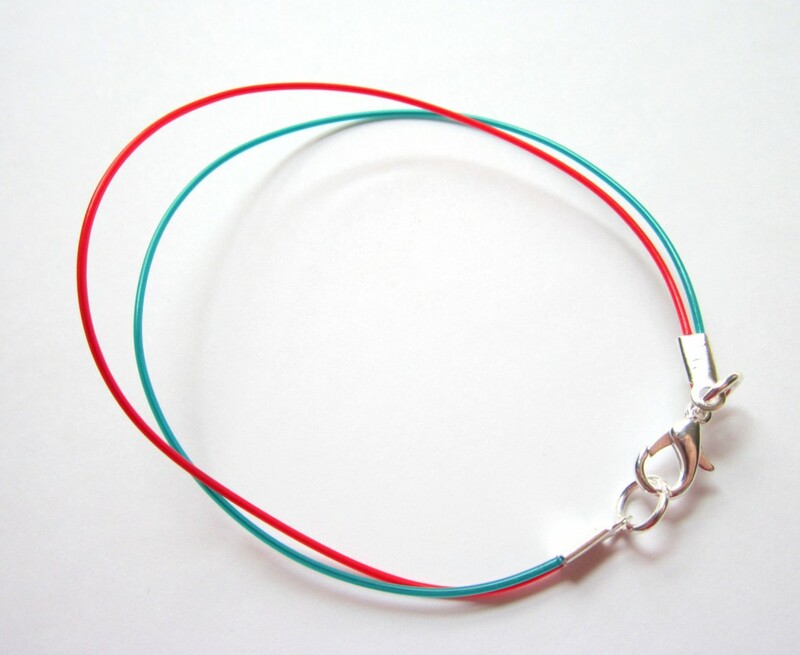 Make it with just one wire, or get larger end crimps and make them with lots of wires all on one bracelet. Make a longer one for an anklet. Make an even longer one for a necklace. 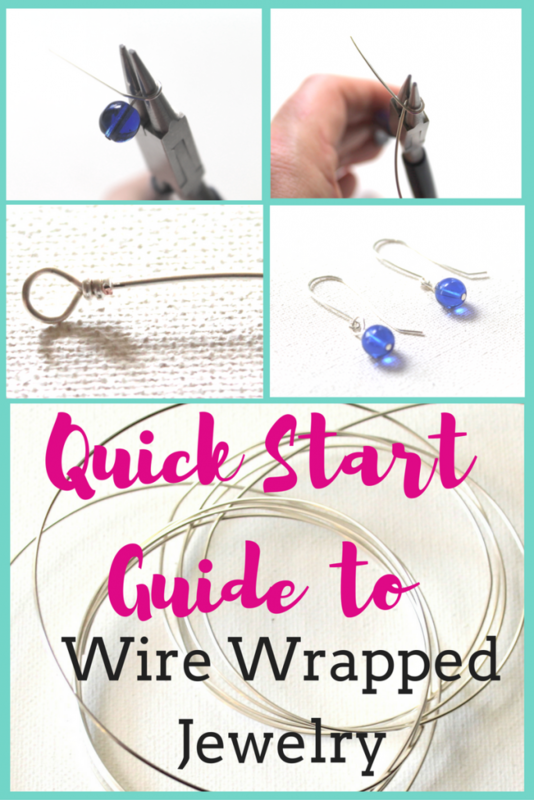 Get started with Wire Wrapped Jewelry with my FREE 10 Day Quick Start Guide to Wire Wrapped Jewelry. This entry was posted in How to Make Bracelets, Jewelry Tutorials by Kimberlie. Bookmark the permalink.